A lung pneumonectomy is a treatment option for severe conditions like lung cancer, invasive tumors, or in some cases even tuberculosis. A pneumonectomy is a procedure that is used to remove an entire lung. Removing a diseased lung can prevent disease from getting worse, prevent spreading to other organs, and provide the best chance of curing conditions like lung cancer. How do I know if I need a pneumonectomy? Recommendation for performing a lobectomy depend on the size, spread, and severity of the tumor. Pneumonectomy Surgery? How is it performed? The removal of a lung using a thoracotomy. 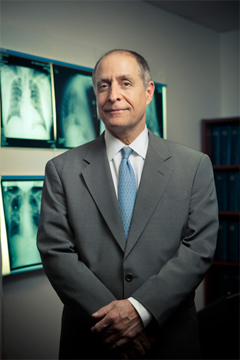 To remove an entire lung, open-chest surgery is necessary. A thoracotomy is performed to allow the surgeon to have open access to the organ the chest (thoracic) cavity. The cut (or incision) is about 10-15cm that extends from the patient’s side from over the ribs, under the arm, and up the back. This will allow the surgeon to have a clear view of the lungs to perform surgery. A thoracotomy pneumonectomy is a serious procedure, and is generally safe but not without its own risks. The risks of a thoracatomy are mostly related to the incision itself. Management of both infection and pain of the incision are serious concerns during and after surgery.